The song, ‘Balls to the Wall’ is an anthem every true metalhead knows by heart. When the Teutonic metal masters, Accept, released it in 1983, they had a turning point in their career and gained mainstream success. The initial conjuring of this heavy German act started as early as 1968. Yet over the years, the band experienced a lot of lineup changes and a couple of hiatuses. When they reformed in 2009, the world rejoiced as they delivered the remarkable album, ‘Blood of the Nations’. Since then the band has made two more records and is about release another. With nearly 50 years of music making experience, these guys still manage to remain passionate and relevant as the day they started. 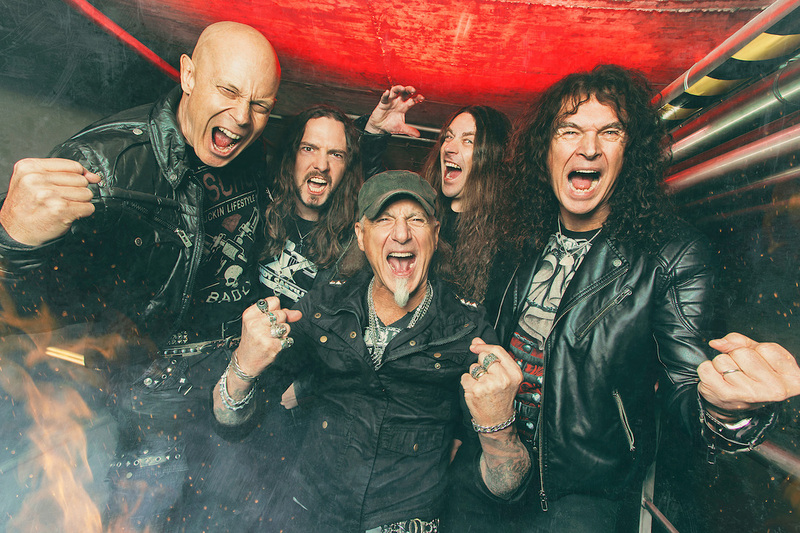 Their newest album, ‘The Rise of Chaos’, is the band’s fifteenth full-length album and will be released through Nuclear Blast on August 4. The record opens with the song, ‘Die By The Sword’. Instantly the listener is hit in the face with the singing guitars of Wolf Hoffmann and Uwe Lulis. 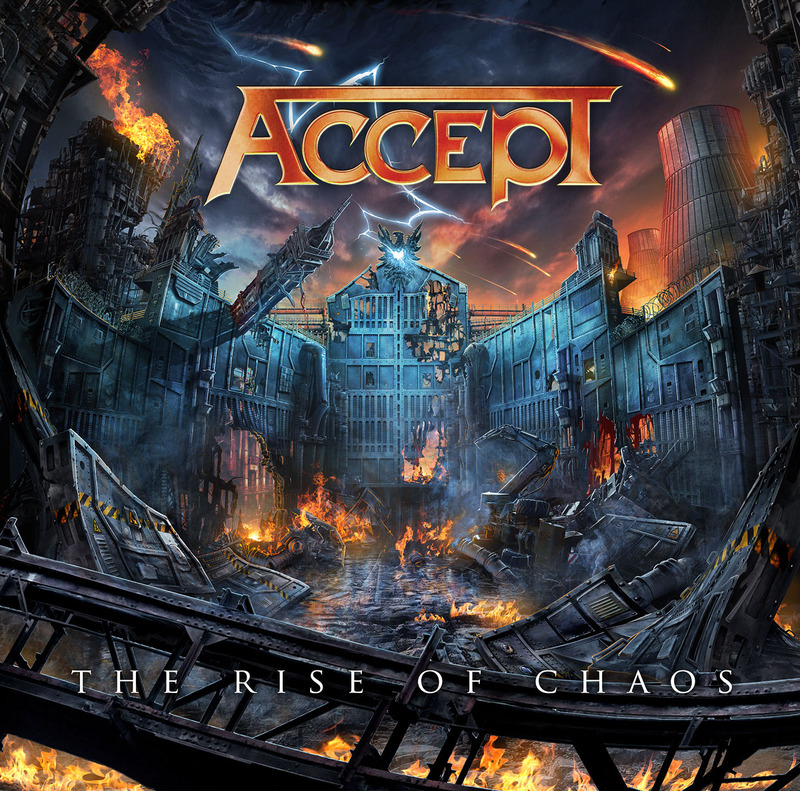 Their epic, powerful playing sweeps over you and immediately gets you lost in the surreal sound that is Accept. Vocalist Mark Tornillo provides that extra layer of grit with his signature screeches, doing full-justice to the simple yet honest and hard-hitting lyrics. The fun, catchy choruses that the band does, and does well, spring up in every song with genuine energy and competence. Songs like the title track, ‘The Rise of Chaos’ and ‘What’s Done is Done’ make you want to chant along. The production is crisp and clear, shedding the appropriate amount of light on each instrument. The full, well balanced sound of the band makes each song special and enjoyable. The second song, ‘Hole in the Head’ has that real crunchy, mean sound coming from the ever clever riff work of Wolf Hoffmann. Each song is delivered with such intensity and intention that you continue to get immersed in the band’s sounds and their themes. Taking on the topics of the visible and invisible destruction of our times, these guys go all in to capture the current chaotic condition of our world. Track #5, ‘No Regrets’, marches in and triumphs with its clever articulation on fear and ruin. The guitars gallantly gallop while the groove is held down by drummer Christopher Williams and bass player Peter Baltes. Wolf’s fierce fingers are on fire and singing boldly in every song. His solos are always heartening and never over the top, but perfectly fitting to each and every movement. Christopher’s stunning, rhythmic playing resonates and embellishes on the supreme song structure that Accept is so well known for. ‘Analog Man’ is a song that shows off the variety on the album. With its ’80s vibe, this piece is nostalgic while still being fresh and vibrant. It takes you back to some of their albums like ‘Restless and Wild’ and ‘Eat the Heat’. The ninth song, ‘Carry the Weight’, on this 10-track record, hits hard. It is the fastest number on the album with its bombastic, thrilling speed, which reminds the listener of the band’s earlier days, proving they still got it. The album ends on a heavy note with the song, ‘Race to Extinction’. The aggressive, foreboding piece culminates the concern and care the band has for the world. Their ominous sound intentionally reflects on the dystopian and destroyed state that surrounds us. With a strong message and stimulating sound, Accept rips hard and has you feeling alive, energized, and making you want more. These guys are constantly giving their 100% and from their experience, they do it with such ease and finesse which adds to their relevancy as a band today. This hard working band is inspirational and should be supported. Do yourself a favor and buy this album on the 4th.